So you’ve made a trip to Zurich and you’re wondering “just what on earth do I do in this city?” Well, allow me to introduce to you my humble but ever growing list of recommendations in Zurich. This has got to be my favourite pizza place in all of Zurich. The concept is so much fun, and you get to try everything that comes out of the kitchen! Be warned, wear comfy clothing as you'll be waddling home once you're finished here! I like to head here when I feel like I need to get out of the apartment, but still need access to internet and to be able to work. It's normally very busy and whilst the service is hit and miss, I am a big fan of their rosti and smoked salmon! Oh, and they do a great Bloody Mary! Not far from Wiedikon station on a quiet little side street you’ll find Yardbird and their perfect southern fried chicken. If you like spicy food then you’ll be in for a treat, but maybe don’t try the aptly named “stupid hot” sauce unless you’re really a conniseur of the hot stuff! If you like cocktails I recommend the Kentucky Lemonade. A cute spot along the lake that serves lovely wine and lillet based cocktails. Head here if you fancy sharing some chips and a bottle of rosé, or if you're in the mood for something bigger they have a great menu. It's quite possibly the best thing about Zurich, the lake is the right side of cold to make it bearable for a cooling dip, without feeling like you'll freeze to death. The perfect spot to cool off and enjoy a picnic with friends, But make sure to get there early, it gets very busy on weekends! If you’re looking for a gym, then look no further. 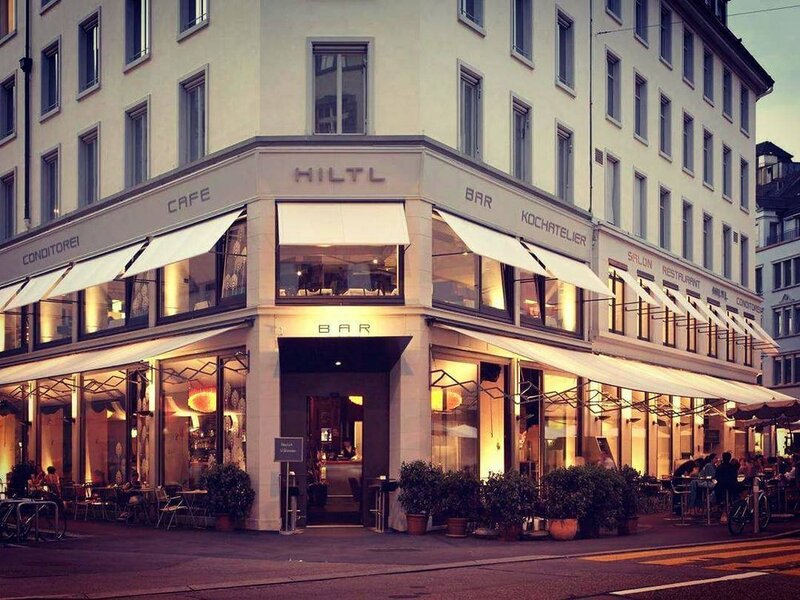 Located in central Zurich just a stones throw from Jelmoli and Hiltl you’ll find Indigo. A chic gym space with great classes and a relaxation room for when you just want to get away from it all. If you head there around lunch you’ll also be able to get great juices and Buddha bowls in the club room. They have locations in Zurich, Zug, Geneve, Luzern and Basel. The first place I found a decent juice in Zurich, oh and the bagels are pretty damn enjoyable too! A cute spot that's tucked away from the hustle and bustle... but don't expect it to be quiet. Vegetarian since 1898. A little hard to believe when you see how much meat they consume in Zurich! But it’s true. Oh, and it’s very very good. I recommend the saffron Gnocchi, or if you want to go rogue why not try their abundantly full buffet. There’s a bar and space to sit outside and enjoy the sun.